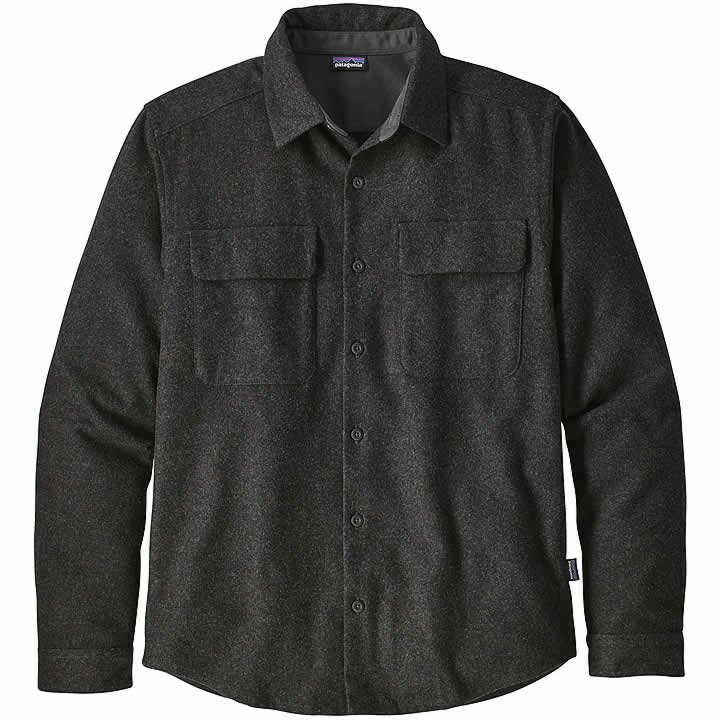 A warm, classic shirt made with a durable fabric blend of 60% recycled wool, 30% recycled polyester and 10% recycled nylon. * Inseam will vary depending on style; when lengths are offered, regular is 32 and long is 34. Made from a blend of lightweight, skin-pampering 60% recycled wool, 30% recycled polyester and 10% recycled nylon, Patagonia's impeccably designed Recycled Wool Shirt glides effortlessly from an afternoon of bouldering to an evening on the town. It has a front-button placket and a stand-up collar, two flap chest pockets and a pleated back for improved shoulder mobility. Patagonia lined the collar and cuffs with soft twill for all-day comfort, and gave it a shirttail hem for extra coverage down low. Patagonia Burlington currently ships items to all 48 contiguous states, Alaska, and Hawaii, and Puerto Rico. We also ship to Military APO / FPO addresses. If your order meets or exceeds the amount advertised on the website, you qualify for free shipping. Choose the FREE delivery option (up to 10 business days) at checkout. This offer is valid for orders shipped to addresses in the 48 contiguous United States. The Free shipping option is not valid for orders shipped to Alaska, Hawaii, Puerto Rico, or anywhere else outside of the lower 48 states. Free shipping orders will be shipped by the most appropriate method based on their physical size and destination. Please email shop@patagoniaburlington.com or call Patagonia Burlington at (802) 923-2910 or (800) 880-4780 if you have any questions.